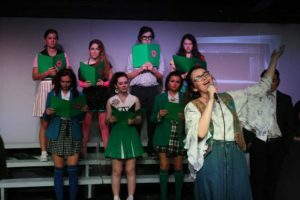 The Un-Common Theatre Company is thrilled to conclude its 36th season with our Young Adult Company production of Heathers The Musical, an edgy, guilty-pleasure rock musical which explores the dark side of the struggle for social status in high school. 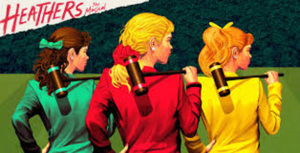 With Book, Music & Lyrics by the award-winning team of Kevin Murphy (Reefer Madness, Desperate Housewives) and Laurence O’Keefe (Bat Boy, Legally Blonde) Heathers The Musical is a hilarious, heartfelt and homicidal new show based on the greatest teen comedy of all time. 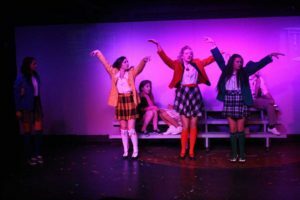 With its moving love story, laugh-out-loud comedy and unflinching look at the joys and anguish of high school, Heathers will bring back all of the angst! Are you in, or are you out? 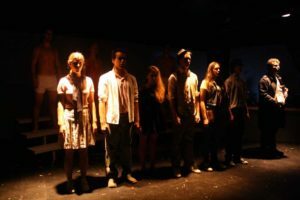 This program is supported in part by grants from the Easton, Foxboro, Mansfield, Norfolk, Norton and Wrentham Cultural Councils, local agencies which are supported by the Massachusetts Cultural Council, a state agency.